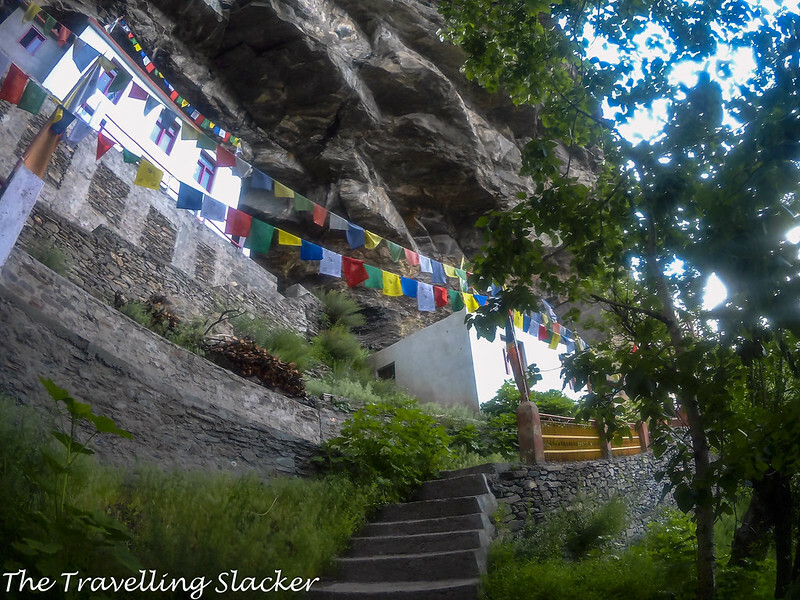 We still had some time left on that long summer day after our trek to Kardang Monastery. 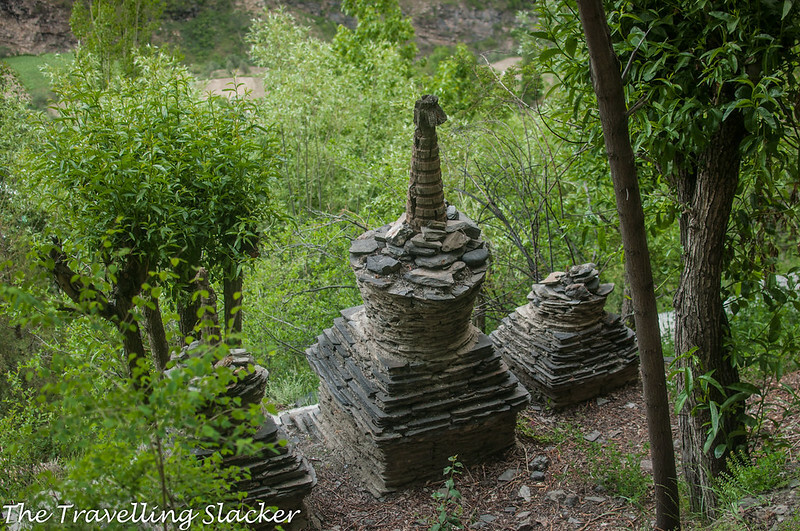 So, I decided to take my companions to Yardong Monastery not very far from Keylong town. Never heard of it before? Nothing unusual in it really. Yardong Gompa is a strange beast. It is located very near to town and by the side of the main road yet almost nobody seems to be visiting it. After googling, I could barely find a couple of mentions of it. There exists no standalone article or blog post on it as of now. I intend to make this the first one although even I don’t have much information about it. 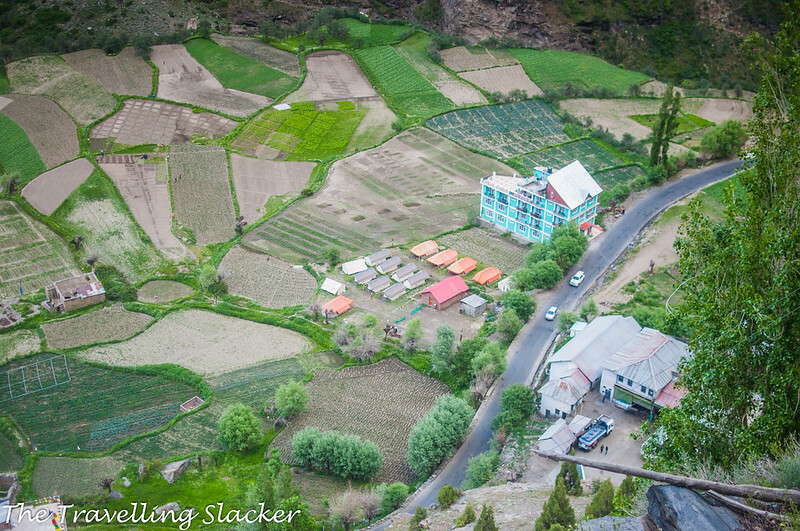 It is around 4-5 Kms from Keylong, en route to Tandi. How did I know about it? 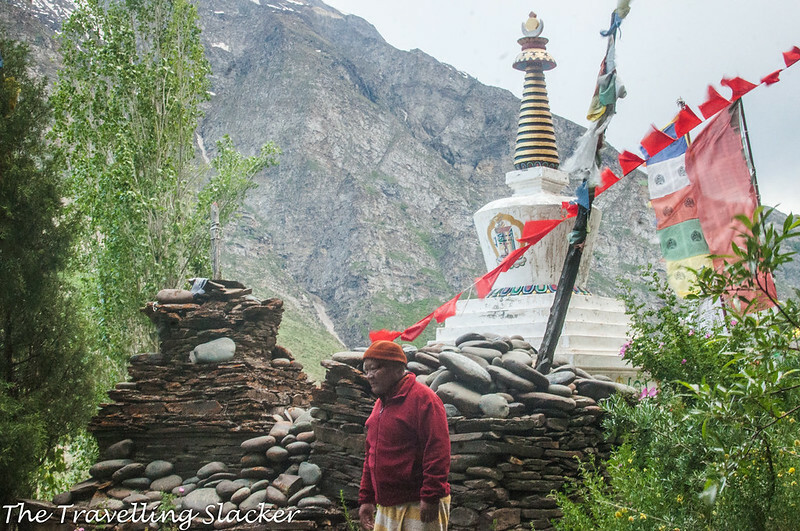 Last summer, after visiting Tupchilling (and realizing that Guru Ghantal is not that easy), I was just walking back to Keylong. On a vehicle, I’d probably have missed it but that evening I noticed a small signboard near the old bus stand pointing towards Yardong. 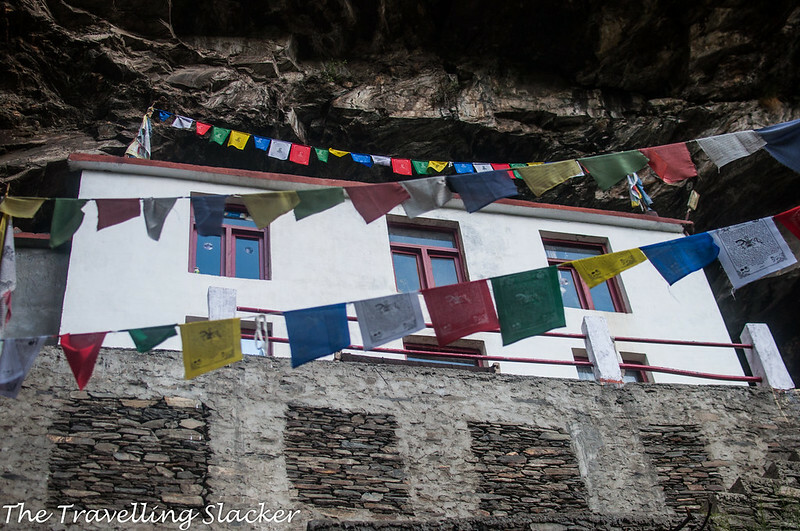 I looked up and saw some prayer flags and some chrotens at an elevation. 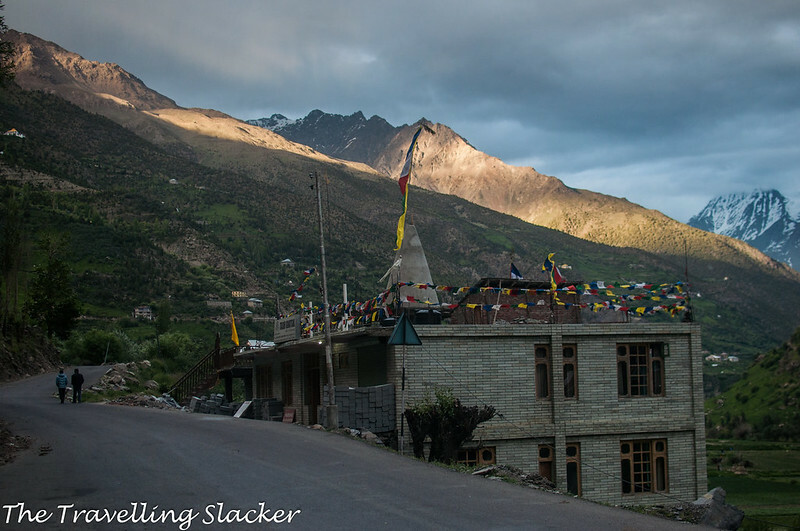 I already had a list of monasteries to visit in Lahaul but nobody had mentioned it before. Anyway, it was too late and I could not do it that summer. This time, we even saw it from the hills of Kardang. It looked like a few dots on the face of a nearly perpendicular cliff. So, we started at around 4 PM. In these parts, it does not get dark until almost 8 PM during the summer. So, I thought we could make it. 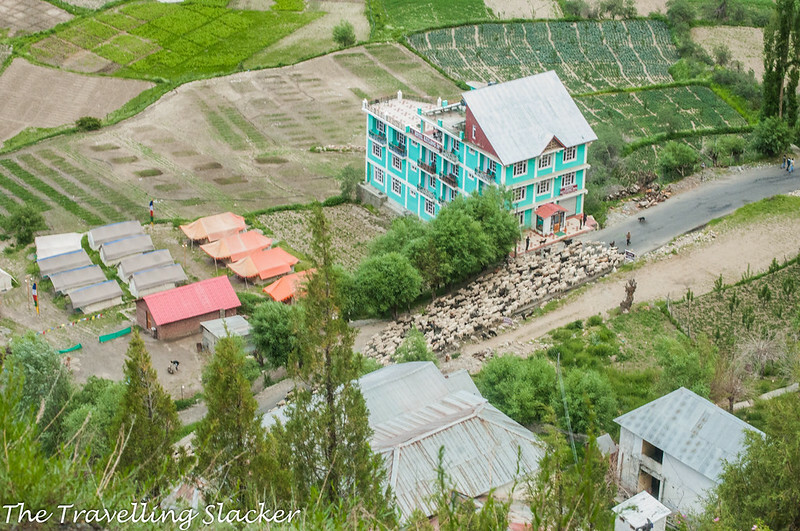 But we found no transport and so started walking along the road and reached the aforementioned bus stand (the main bus stand is within Keylong but this is a spot where some buses rest). The trail from here was steep but a short one and well-maintained. 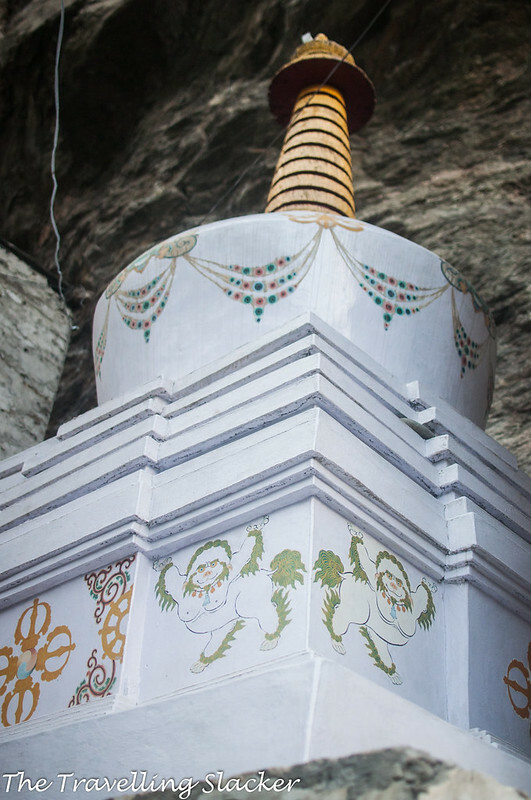 We hiked fast through dense vegetation and also crossed a few ancient and dilapidated chorten hinting at the antiquity of the gompa although, like most other gompas here, it seems to have been rebuilt, refurbished and painted. (A couple of pics are taken with the low-res action cam because there was no space to manoeuvre with the 35mm). Considering the very awkward location, I think originally it must have been just a cave turned into a meditation spot by the monks. Even now, the newly built compartments look like just clinging onto the mountain. We wanted to talk to someone about it and eventually, one monk came out. 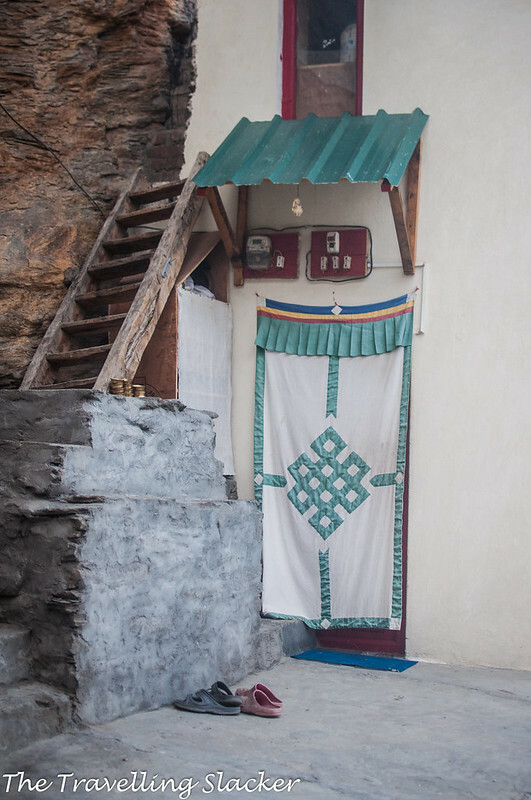 He took us inside and showed old relics and thangkas hidden in those dark rooms. It is hard to imagine that they managed to construct two floors in a space like this. Unfortunately, the monk was not comfortable in Hindi. So, we could not really extract any information from him. 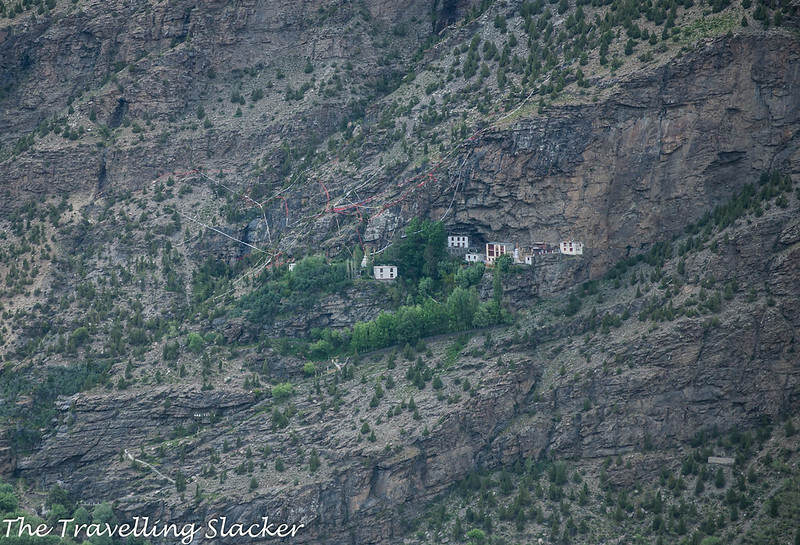 For me, the most exciting view was that of the ground from that height rather than the monastery itself. 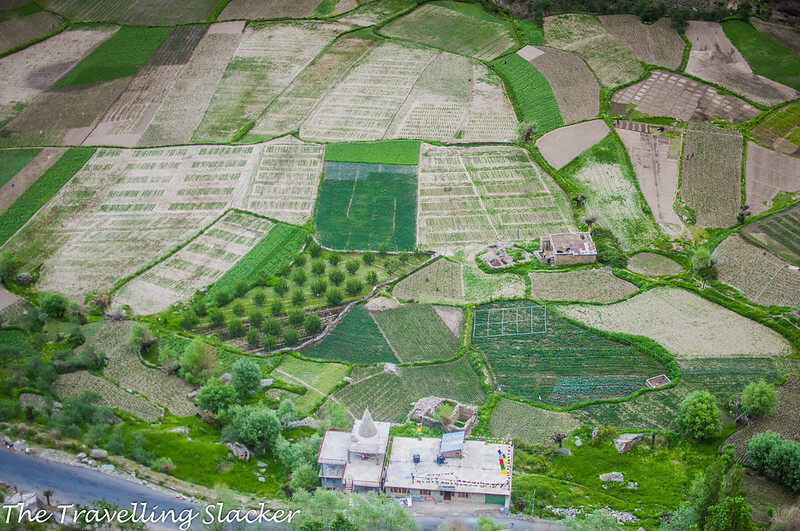 We were almost getting a bird’s view of the patterns and colors of the wheat fields and orchards from the gompa. The fields, of course, are spread only till the gorge of the Bhaga and the steeper hills beyond. Nevertheless, for this view alone, this hike is worth an attempt. It was already getting dark so we rushed back quickly. We met a couple of other monks as we reached the road. They were more cheerful and talkative and there was no language barrier this time. However, it was too late and we did not have the stamina to go back with them again. I wish they had arrived earlier. We just let them go and ordered tea at a nondescript shop near the bus stand and waited for the bus. The dying light was painting Keylong with surreal hues. This view should have gladdened me but actually, my quest remained unsatiated. I still know as little about Yardong as I knew before visiting it. But I guess I will have to wait for the next summer to try it again. Wow ! Great place to visit !! That looks a wonderful place to visit. Nice photos too. Loved the way you described the place.